BitProperty is a decentralised real estate platform powered by Ethereum smart contracts, with two types of tokens, BTP which powers the platform and tokenised assets created by Asset Issuers. BitProperty provides a seamless, quick, and low-cost way to own and trade real estate revenue streams for investors without the regulatory burden of direct investment or equity ownership. Traditional real estate investment processes (including traditional Real Estate Investment Trusts or REITs) are inefficient, slow, and expensive, while denying investors direct control. Real estate investing regulations are prohibitive and limit the potential pool of investors. Investment size restrictions price out the majority of interested investors. 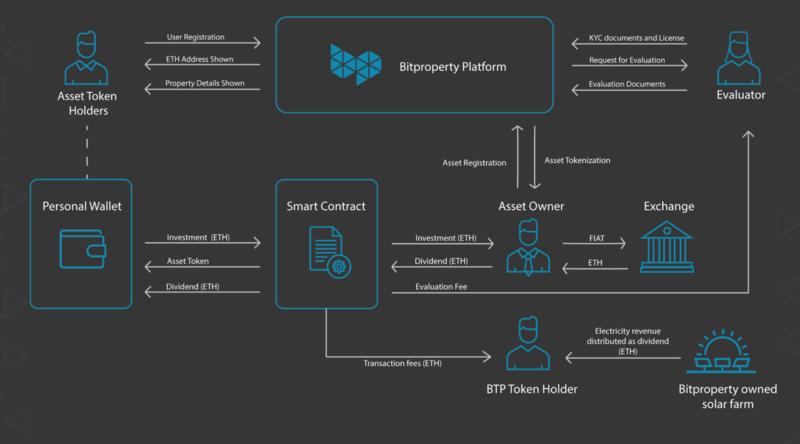 BitProperty streamlines real estate investment by replacing traditional securities with tokenized contracts. These tokenized contracts represent ‘licenses to profit’. They let real estate investors reduce costs of expanding at scale, while eliminating regulatory burdens. These tokenized contracts do not qualify as shares in the sense of traditional securities, but only licenses to profits with no KYC requirements. This lowers regulatory costs dramatically. Profit distribution is made both cheap and efficient with the Ethereum blockchain. Asset tokens represent individual licenses to profit for various kinds of real estate created by Asset Issuers on the platform. ETH is the primary transaction currency on the platform. There are 2 classes of tokens on the platform: BitProperty tokens (BTP) and asset tokens issued on the platform. 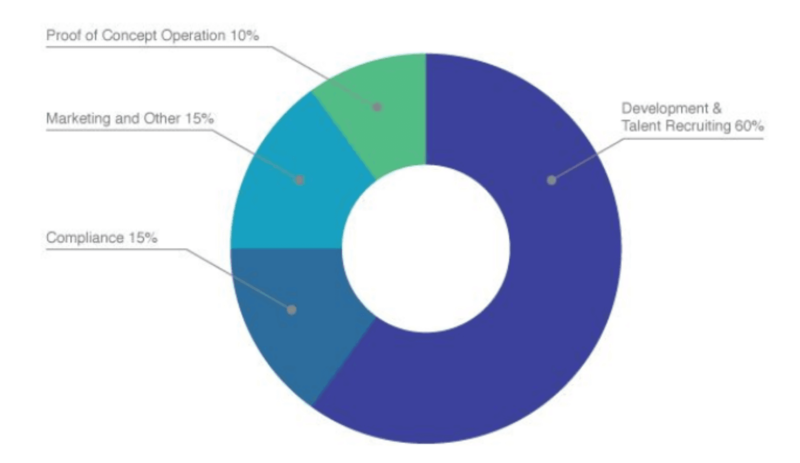 BTP tokens represent ownership of the transaction fees of the platform as well as BitProperty’s own solar farm (like dividends) and this will be paid in ETH. Investors can contribute however much they want to as both tokens are divisible. For example, if an investor wants to enter a contract with $200 instead of $200,000, they need only buy $200 worth of that asset token on the BitProperty platform. This gives the platform real estate liquidity from Day 1. By working closely with regulators, BitProperty has streamlined license issuance to the point where tokenizing these energy-generating revenue streams reduces the costs for asset issuers. Investors will have legal rights to the profits of these assets, removing barriers to foreigners’ direct investment into Real Estate and Equity markets globally. The network depends on the support of network participants, the holders of the BitProperty tokens (BTP). To incentivize token holders to support the continued growth of the network, BTP holders receive fees relative to their BTP holdings. 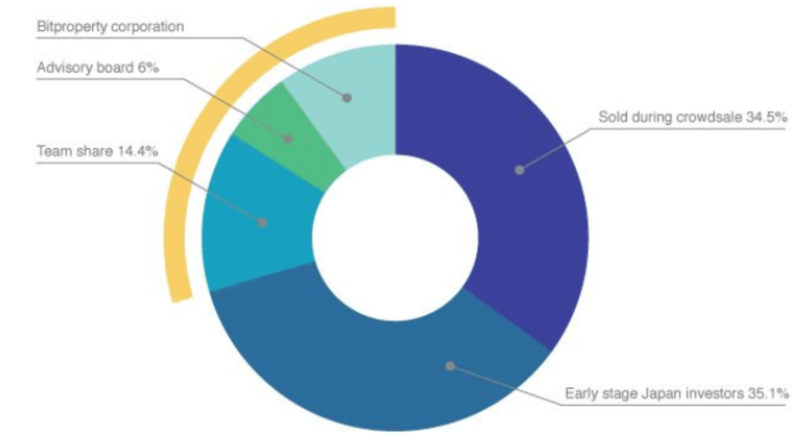 The platform charges transaction fees to investors and asset owners, these are distributed to token holders in proportion to their ownership of the BTP token. BTP holders also receive all profits from the BTP solar farm.